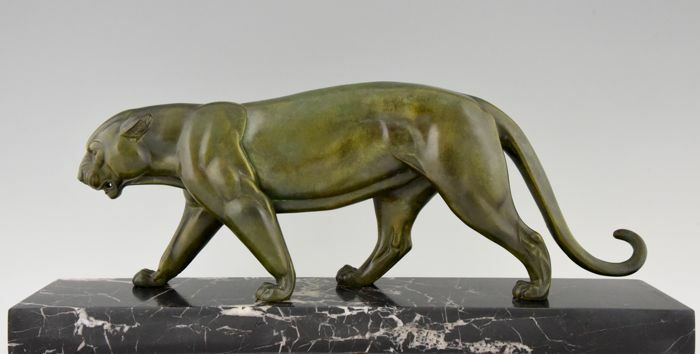 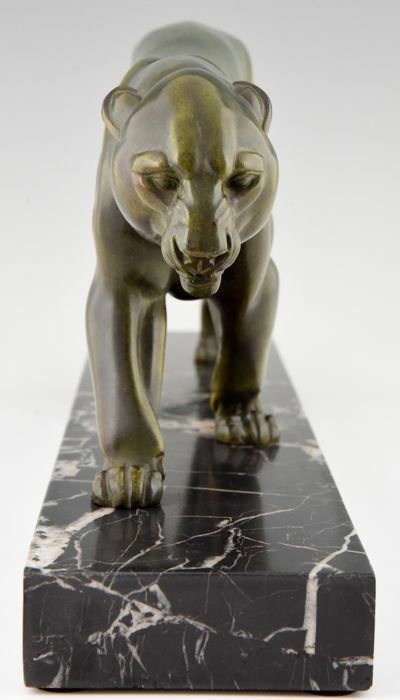 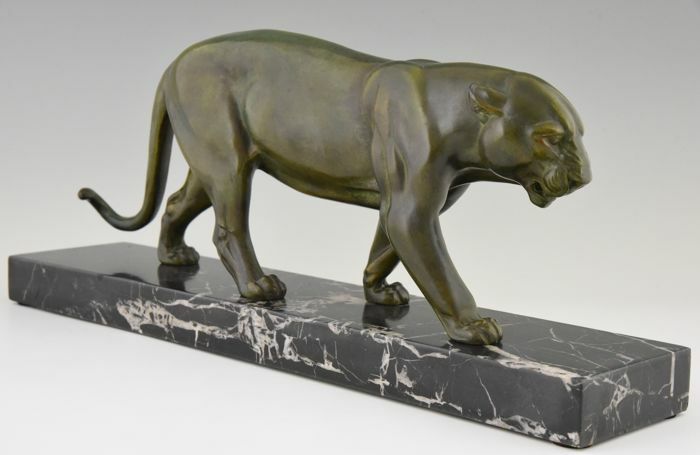 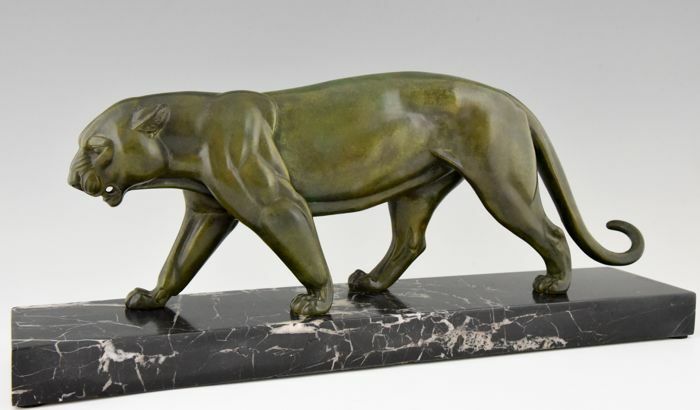 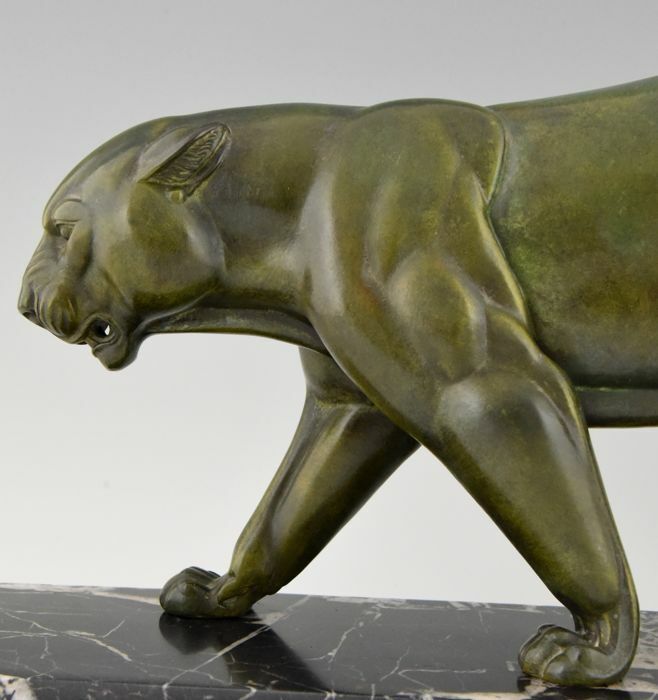 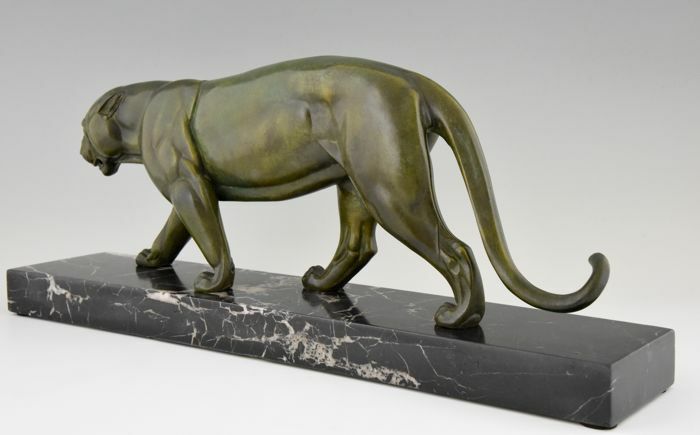 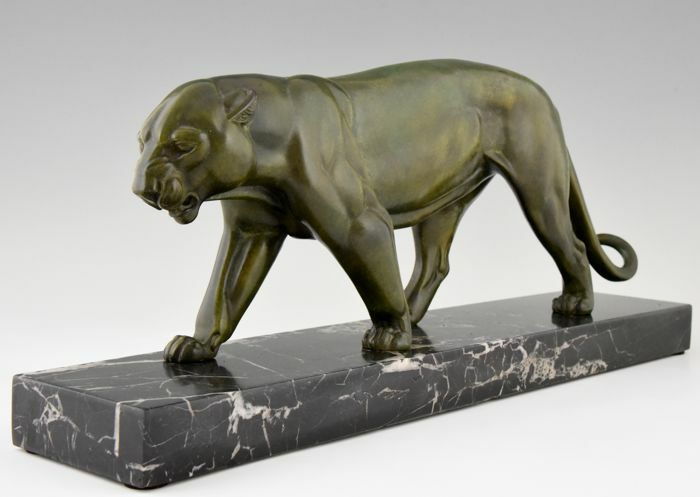 Art Deco sculpture of a walking panther. 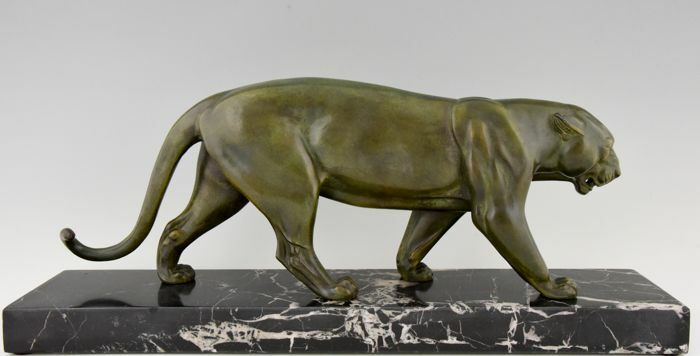 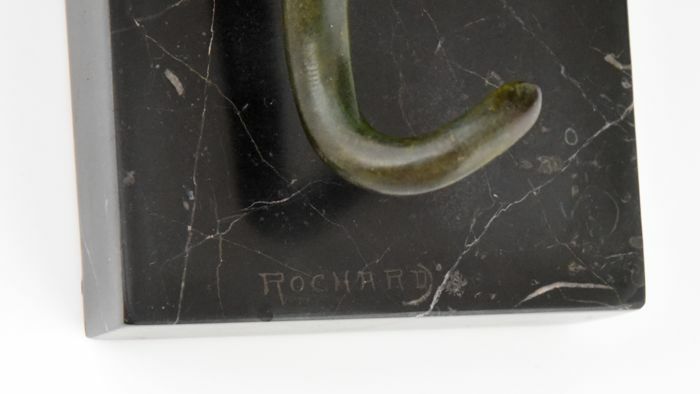 Patinated metal on marble pedestal. 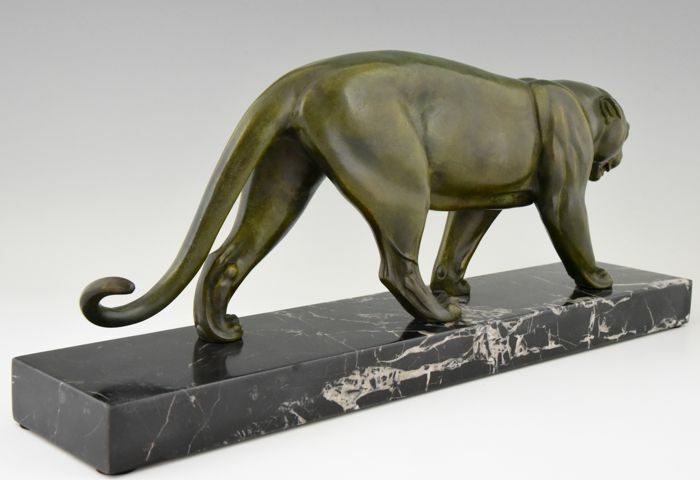 Size: L. 58 cm x W. 12 cm x H 24.5 cm.